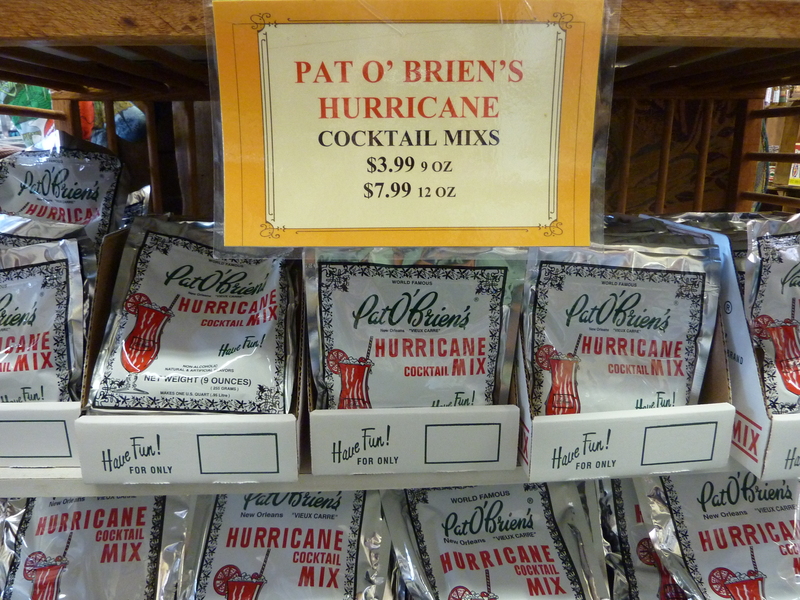 A survey reported that 95% of all first-time tourists to New Orleans go to Pat O’Brien’s. I did, too. Founded in 1933, this bar is home to the Hurricane cocktail. Potent, sweet and oddly popular, the mixes are available for purchase all over town. O'Brien, with the help of a liquor salesman, came up with the drink to use up an abundance of rum. During WWII, spirits like whisky were in short supply and bar owners and restaurateurs would be forced to buy rum (which was plentiful) in order to get their whisky. Between examing the ingredients and sampling a cocktail, I still had to look up the recipe upon my return home. 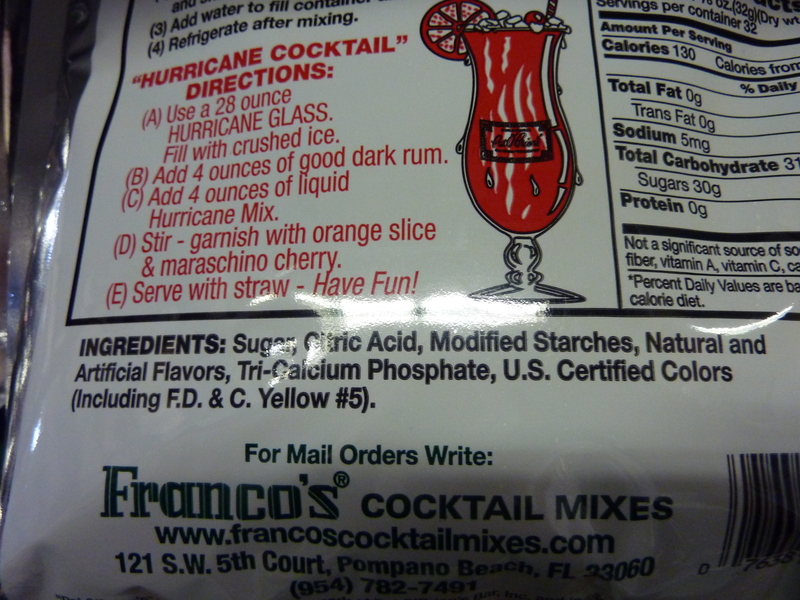 Shake all the ingredients in a cocktail shaker with ice and strain into a hurricane glass (shaped after a hurricane lamp). Garnish with a cherry and an orange slice. Please note the 4 oz. of alcohol in this drink. You’ll be a “ragin’ cajun” in no time. Do you think the Scorpions have been to Pat O’Briens?